Investment, cost of renewals, administration, … These are all questions you ask yourself before installing a light box. How much is it costing me in CAPEX and OPEX? How many people do I need? 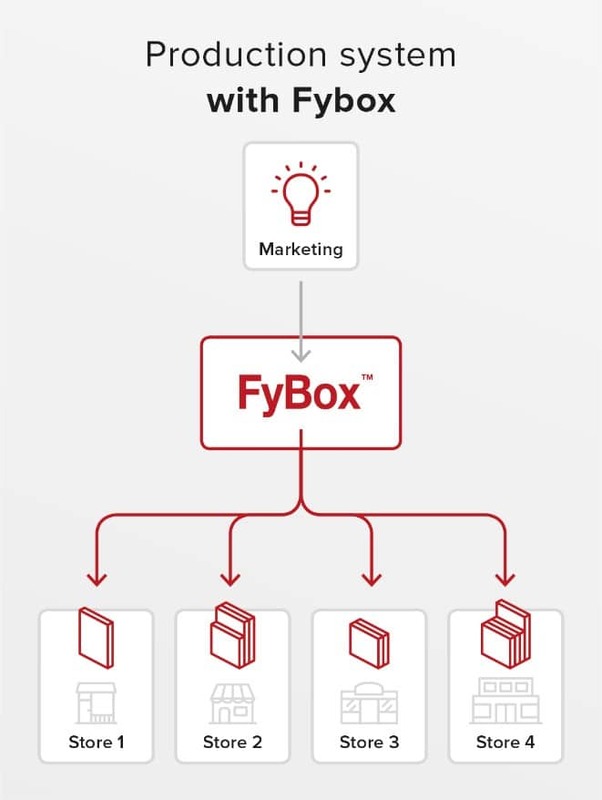 We, at Fybox, make your life easy. We consider the initial investment. But we also take into consideration the totale cost of ownership: costs of maintenance, the project management, the marketing department, the content creation, the logistics etc. Practically, we have developed in-house an online platform. It allows our customers to manage their “fleet” of lightboxes over their worldwide shop network. In a few clicks they can upload the visuals. They can also invite a third party to upload (graphic designer, communication agency, franchisee, partner brand, etc.). 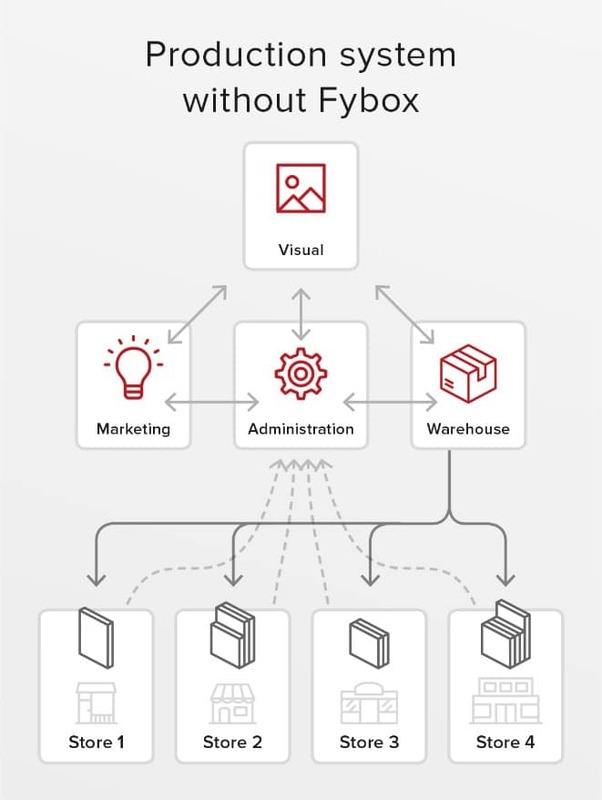 Then, FyBox dispatches all HD prints worldwide and ensures an automatic delivery tracking. The project management hours of the marketing team are drastically optimized. Moreover, the risk of human errors is virtually limited to zero. So, when looking at a total cost of ownership approach over 5 years (ie the investment plus the operating costs) one can conclude that a digital screen is approximatively 10 times more expensive than a lightbox with 4 renewals per year. 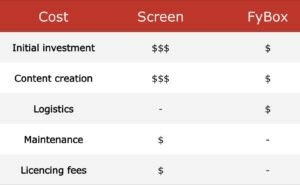 The main cost differences are the initial hardware investment cost, the content creation, the licensing fees, logistics and the overall maintenance cost. 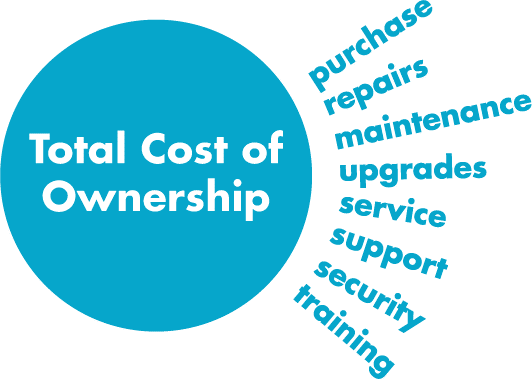 As a conclusion, we believe the total cost of ownership is of great importance when buying a solution for the long run. Moreover, at FyBox, we are eager to assist our clients in this ‘best practice’ procurement approach.